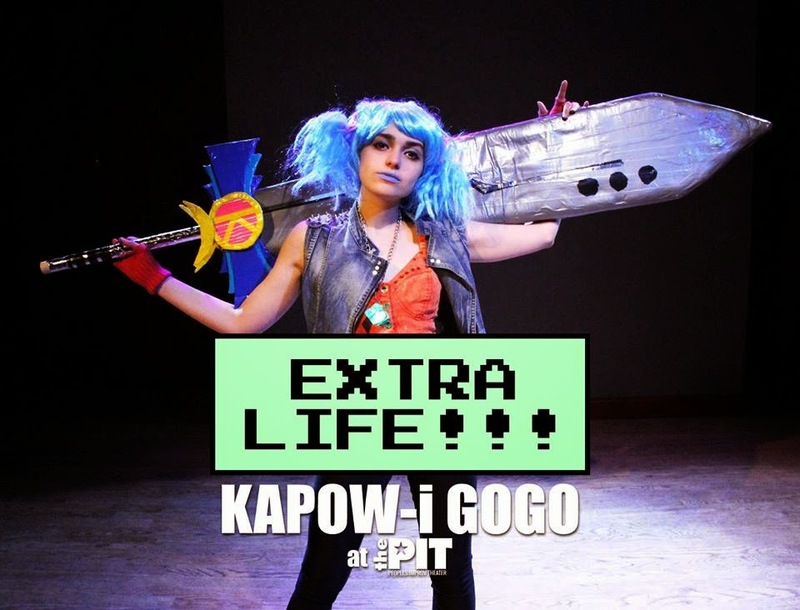 We let Kapow-i GoGo mastermind Matt Cox take over Theater in the Now to give you a peek inside his mind and the influences the powerpacked Kapow-i GoGo. It also dawned on me that these video games/ television shows/ movies sort of paved the way for the way I write today. So, I thought I would peel back the curtain and let you all take a look back at the particular episodes/ films/ video games that really brought Kapow-i GoGo to life over the years. Or in our current case, her Extra Life! I think I was 10 the first time I saw this. The story as it stands- Goku, our hero, is fighting against the terrifying Frieza, a galactic conqueror who has done a whole lot of bad things. It’s looking like there’s no way the good guys can win. Then things get worse and Frieza kills everyone’s favorite bald guy, Krillin. This sends Goku over the edge and he transforms. What does he transform into you may ask? A little thing called a Super Saiyan. 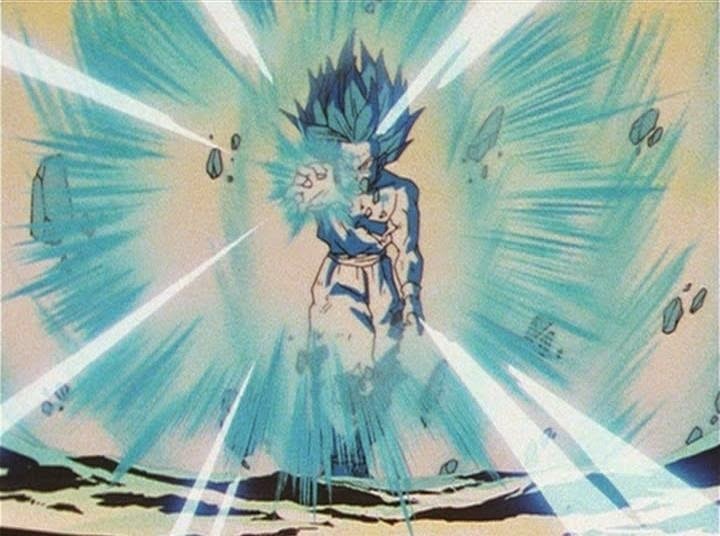 Super Saiyans would become a norm on the show as it went on, but man. The first time it ever happened my mind was blown. Stakes were raised. Character designs got cooler. And it gave me a whole bunch of new options for those characters I had been drawing in my little notebook. Upping the ante brings new life. The whole status quo changed and it made the show so much more interesting. Listen, I know. We can all agree that Empire is a better movie. I know. But growing up I was all about the then final chapter of Star Wars. Ewoks are cute. I owned stuffed ones that my parents bought me after we rode the MGM studios ride in Orlando. 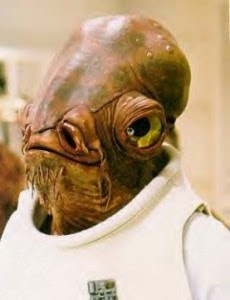 And there’s Admiral Ackbar. He’s great! Whatever he is. But the thing I loved the most was always the epic Emperor/ Vader/ Luke scenes. They hold up! They really do. Ian Mcdiarmid’s awesome performance as Emperor Palpatine is so great. The final battle is really cool. Force Lightning? Yeah, I enjoy that. That weird CGI creature added in for the Special Editions who sings a weird song? That, I think we could all do without. 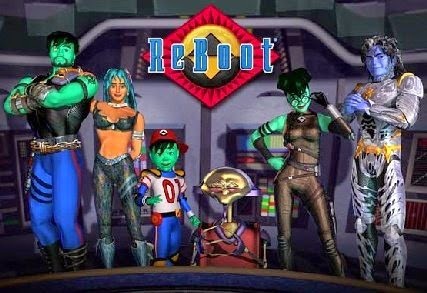 I imagine most people don’t remember/ never saw/ will never care about REBOOT. It was this super weird cgi show with a bunch of adventures that took place inside of a computer. It’s very difficult to explain. The early episodes are fun and quirky but nothing too memorable. It was a very kiddy show. But in the third season, it moved away from it’s network, ABC, and grew up a whole lot in the episodes that followed. The main character, Bob, was betrayed and stranded far away leaving our young hero Enzo in charge of protecting their city, Mainframe. We watched this kid go from spunky child to competent protector over the course of the first few episodes. Then, in the 4th episode, Enzo finds himself in a normal situation. He has to play a computer game against ‘The User.’ If he wins (as they always did) everyone is safe and fine. If he loses (as they never did) he and lots of other people are basically killed. In this episode he ends up in a Mortal Kombat style game. Long story short, Enzo gets his eye stabbed out and then he loses. Teenage Matt was super shocked and LOVED EVERY SECOND OF IT. Enzo managed to escape, stranding him far away from his home. The following episodes jumped ahead to Enzo being an adult. The quirky spazzy kid was suddenly this badass renegade named Matrix. EVERYTHING ABOUT THE SHOW WAS DIFFERENT. Thinking about it now, I still love it. This is actually a huge influence on Kapow-i. The jumps in time and the idea of a kids show radically aging up are straight from Reboot. The end of the Cell Games saga. The one where Gohan beats Cell. 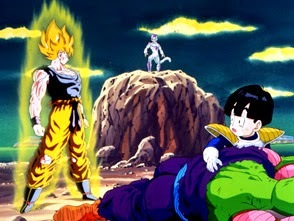 This was one of the last episodes of Dragonball Z I watched before I grew out of it. (It was a while after before the next arc aired on Toonami.) But man, is it epic. The spirit of the show, and the reason it’s such a world wide phenomenon, all come together in this episode. They overcome the odds, the former bad guy saves the day learning a valuable lesson about himself, the kid believes in himself, believes in his friends, believes in creating a better world, and the hero makes the greatest sacrifice. The list goes on. It’s all just great. And It’s also all over Kapow-i. One summer a family friend of mine introduced me to Final Fantasy VII. I was immediately obsessed. It was one of the first stories I ever really loved. It’s huge. It’s long. It’s epic in every sense of the word. 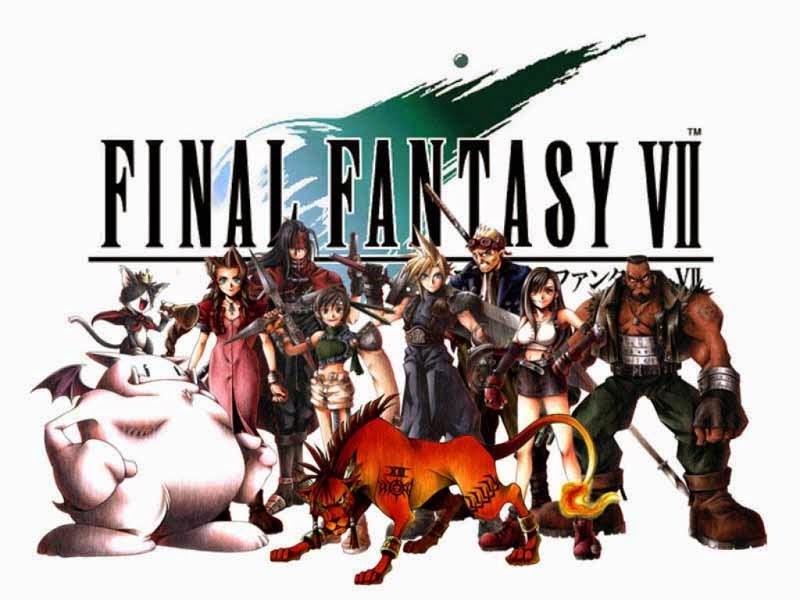 From the incredible soundtrack, to the overly large weaponry, the cast of fascinating characters, and a story that twists and turns and takes you all over the world map, Final Fantasy VII is what lies at the heart of Kapow-i’s inspiration. The show took off in it’s original run at #serials@TheFlea when I realized I could use this play to make some homages to one of my favorite things. For every 10 people who love it on the internet, there’s another 5 who hate it and will send you death threats for liking it. (Or something like that.) I think that is the general grounds for something being a classic. So if you find yourself with around 70 hours, dust off the old Playstation and give it a spin. But don’t worry! Along with all of that silliness, there’s lot’s of other jokes in Kapow-i that don’t require viewings of full series or playthroughs of entire games. I like to think there’s something that will appeal to everyone. In the end, It’s just my attempt to give everyone a chance to go on an adventure.